The E-Line series has now been one of the most successful continuous lines in Germany and across Europe for the past 25 years. There are several good reasons for this: on the one hand, E-Line has always set standards in terms of quality of light and product quality as well as energy efficiency. On the other, the continuous line can be adapted extremely flexibly to the often highly specific requirements of the market – across almost all sectors and applications. Get to know the innovative continuous line from its best side and become inspired by this highly unusual highlight. Whether in halls, classrooms, offices or retail areas – for functional lighting, continuous lines are the classic lighting solution. Many providers now make the spectrum of offers and quality vast, which means that choosing the right partner is difficult. 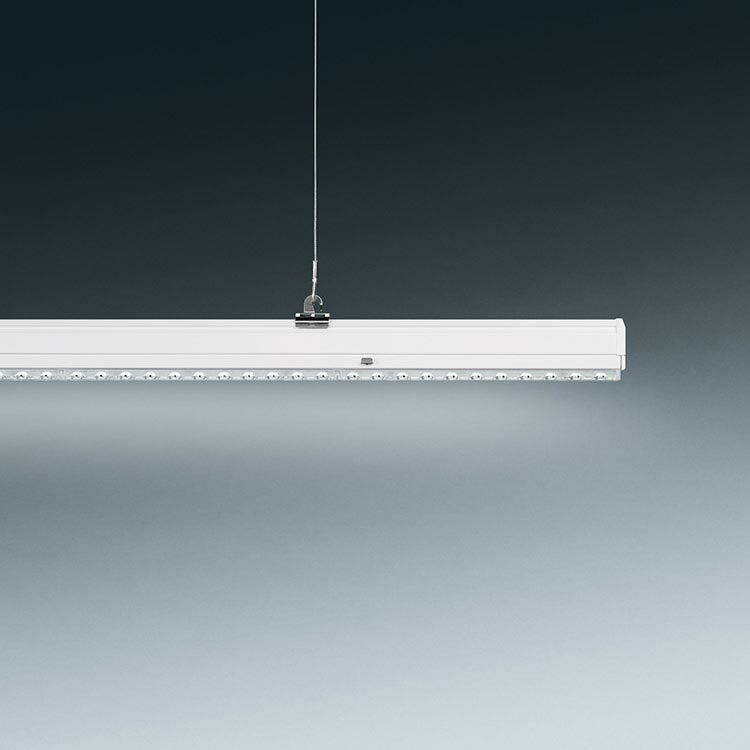 With E-Line LED, TRILUX as an expert in continuous lines offers a high quality and simple-to-install solution for all situations: thanks to decades of experience and continuous further development, the continuous line features maximum product quality and quality of light – this customers can rely upon. With an extremely broad portfolio as well as customer-specific special solutions, E-Line LED features maximum flexibility and reliably masters any lighting requirement in industry, office, education as well as shop & retail. Optimum lighting for an industrial production hall is significantly different to perfect solutions for a distribution hall or office building. One lighting solution exists though that fulfils almost all lighting needs thanks to its exemplary flexibility and ability to adapt: E-Line LED. The spectrum of applications hardly has any limits because of its high diversity of versions. If the portfolio does not meet all needs, E-Line LED can also be modified specifically to your project as a custom-designed solution. E-Line LED is in its element everywhere where maximum quality of light is required along with highly specific framework conditions. 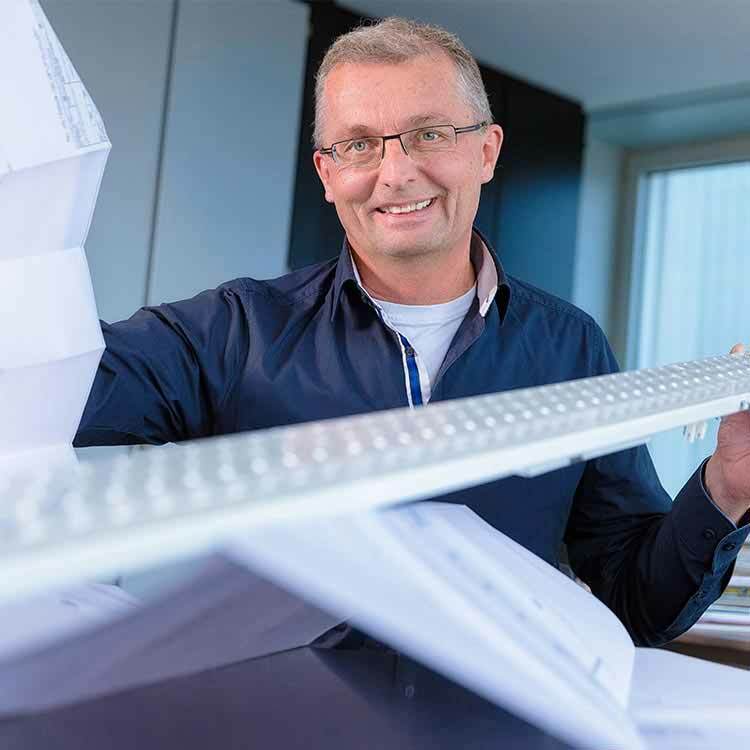 Thanks to in-house production at the TRILUX location of Arnsberg in Germany, special solutions can be individually implemented according to needs in close cooperation with our customers. E-Line LED is available with a large number of options to offer maximum lighting design flexibility when covering various lighting requirements in the industrial, retail, office and education market sectors. In its manufacturing facility in Germany, TRILUX can make individual modifications to the continuous line system according to specific customer requirements or projects. With its wide range of versions, E-Line LED is so flexible that it meets all lighting requirements in any application in industry, education, office or retail sectors. 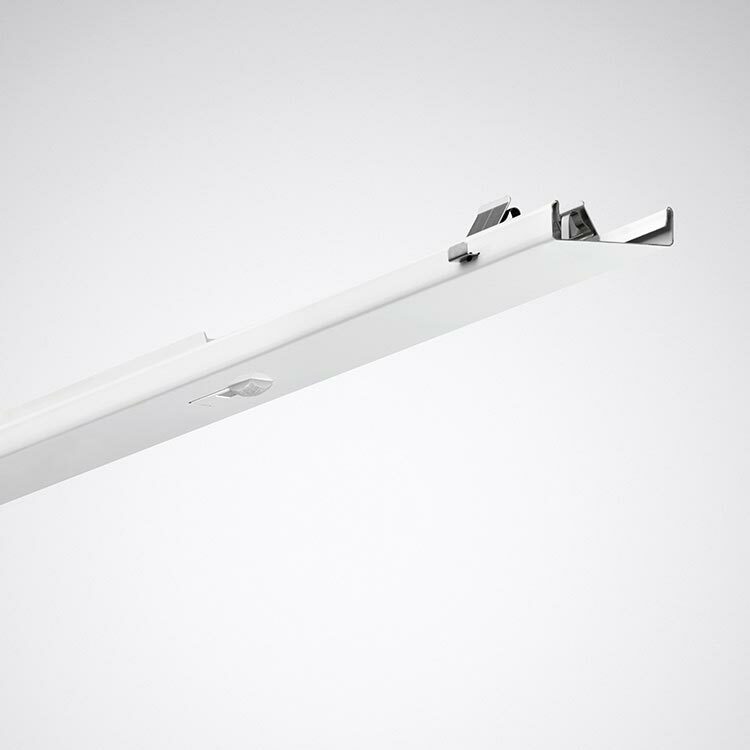 This high level of adaptability enables the future re-use of rooms without any issues by simply exchanging the E-Line LED inserts in the trunking. 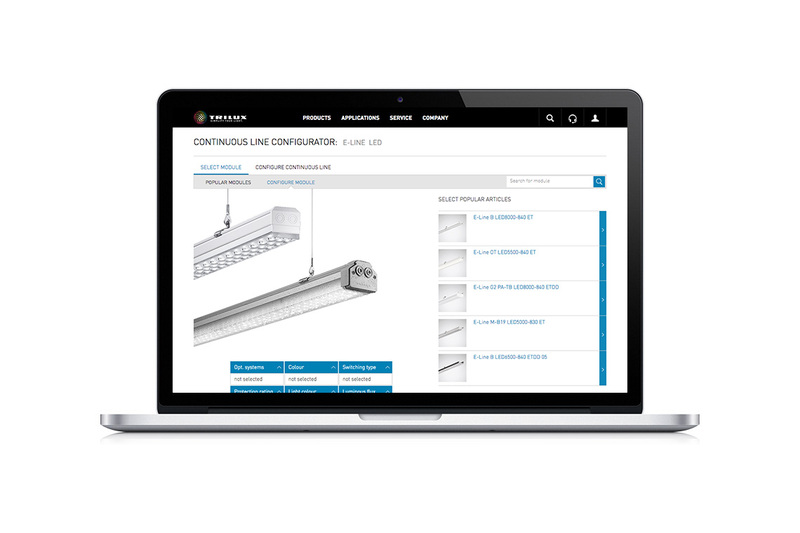 Although E-Line is exceedingly versatile thanks to its extremely wide portfolio, it still has simple handling in terms of lighting design, installation and maintenance: quickly and conveniently put together online with the E-Line Configurator, the continuous line is quickly installed without tools due to very easy mounting. 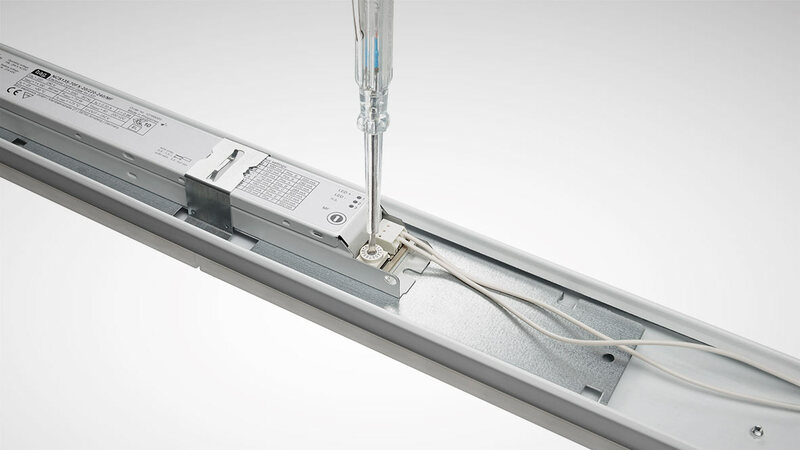 A further benefit: the trunking rails enable E-Line LED units to be simply replaced in refurbishment projects. Do you need help configuring your E-Line continuous line? With our E-Line Configurator you can identify your most suitable continuous line quickly and simply. Few parts. A wealth of benefits. With E-Line LED, gear trays, reflectors and light sources are supplied in the form of a pre-assembled unit. Fewer components simplify and accelerate logistics, replacement and installation. Installation is carried out very swiftly thanks to the intelligent catch system. Simple, quick refurbishments – no problem with E-Line LED. Thanks to its intelligent construction, E-Line is installed as quick as a flash. Even upgrading from a conventional E-Line T5 or T8 unit to a new LED unit takes just 44 seconds. This means refurbishment projects do not suffer from long downtimes or high mounting costs. We can demonstrate how quick and simple an E-Line unit is upgraded in real time with two examples. The E-Line configurator enables continuous lines to be simply and conveniently configured online. This significantly cuts planning time with lighting projects. A conventional E-Line unit with T5 or T8 can be upgraded to the highly efficient LED technology in just 44 seconds, which saves both time and costs during refurbishment work. Upgrading a conventional T5 or T8 E-Line to E-Line LED in just 44 seconds minimises installation times and associated costs. This means that expensive idle times in running production processes are a thing of the past. Many operators of lighting installations are not aware that energy consumption is a decisive factor in the complete energy balance of a building – thereby also influencing its cost-efficiency. With especially good luminous efficiency of up to 169 lm/W, the new E-Line LED achieves a peak value that is unsurpassed in the lighting sector. Compared to a conventional lighting solution, this means that energy costs and operating costs can be significantly reduced. Also, investment costs are paid back very quickly because of this high efficiency. The basis is a nominal work price per kWh of 0.23 € in year 2017 and a yearly inflation rate of 3% over 15 years of service life with 4,000 operating hours per annum. The basis is a nominal work price per kWh of 0.23 € in year 2017 and a yearly inflation rate of 3% over 15 years of service life with 2,750 operating hours per annum. Basis is a nominal work price per kWh of 0.23 € in year 2017 and a yearly inflation rate of 3% over 20 years of service life with 1,400 operating hours of annual general lighting and 700 operating hours of annual panel lighting. Energy efficiency comes together with intelligence: With the optional TRILUX LiveLink light management system, the operating costs for lighting can be further reduced and light comfort increased. 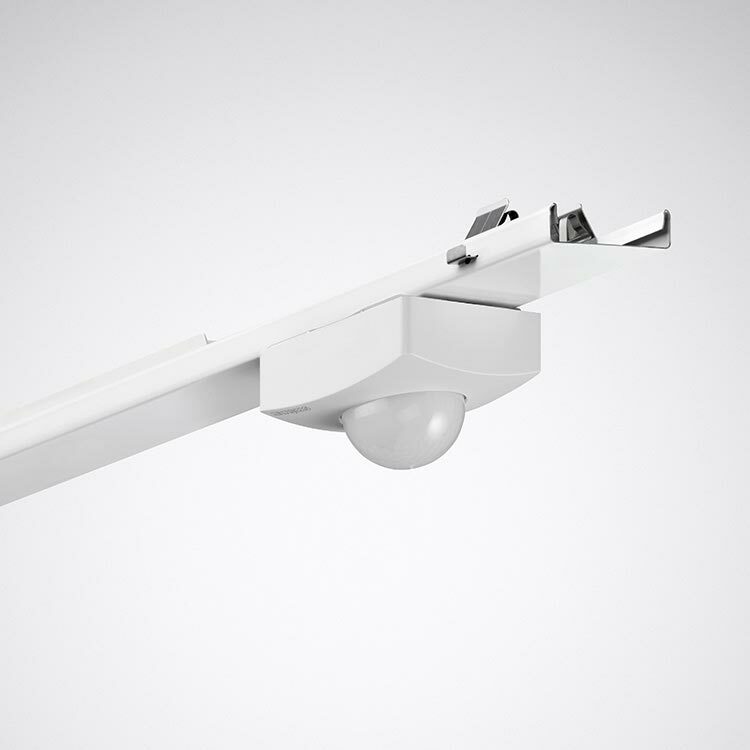 By integrating high-performance sensors for presence- and daylight detection, E-Line LED only illuminates when genuinely needed, thereby providing precisely the amount of light that is actually required. Gear tray with length 740 mm with integrated LiveLink controller and sensor unit for daylight-dependent control and presence detection. Gear tray with length 740 mm with integrated LiveLink controller and sensor unit for presence detection. E-Line LED is simply and quickly installed and has a major advantage – no tools are necessary. Further time savings come thanks to the new 108-series packaging: this saves time when unpacking and therefore cuts installation time by 10 to 15%. 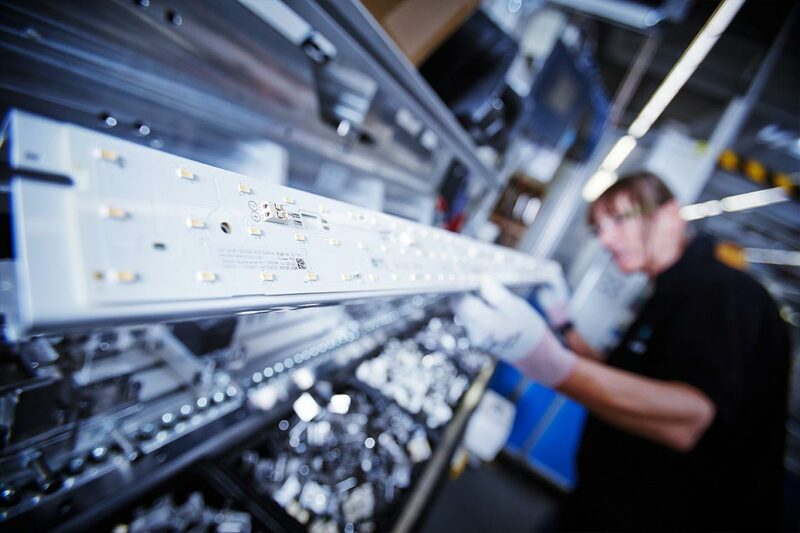 E-Line LED offers optimal value for money: thanks to its high energy efficiency, operating costs are significantly reduced compared to conventional lighting solutions so that an investment is rapidly paid back, meaning that from this point onwards operators can make real savings with their lighting system. Because of the continuously increasing diversity of continuous lines in the market, it is becoming increasingly complicated for users and decision-takers to find the optimal solution for their needs. E-Line LED simplifies this decision process. The reason for this is that for the past 25 years quality has taken pride of place at all levels of the complete E-Line product series. Due to decades of experience and continuous development, the continuous line was continuously optimised and today scores with maximum flexibility, product quality and quality of light. In 1992 one of the first continuous lines with tool-free mounting left the factory in Arnsberg in Westphalia, at that time still going under the name of X-Line. Since then countless kilometres of today's E-Line LED have been installed, and the product has been subjected to many development steps in the past 25 years. These steps are based on the company's own expertise as well as feedback from customers. As a result we have been able to expand and improve not only the individual components but the complete portfolio as well. It is here that the quality and long-term success of E-Line is found. Take a look into the past of E-Line and find out about the milestones in its development. The E-Line range has now been one of the most successful continuous lines in Germany and Europe for the past 25 years. This success is not surprising because many people are behind the product, and they work with enthusiasm and passion to ensure that the continuous line always goes with the times and repeatedly sets standards in terms of quality. The continuous development of E-Line also benefits from feedback from customers that strengthens and inspires us. Three of the continuous line's faithful companions, the constructor Helmut Ufermann, the Product Manager Klaas Keur and Detlef Iseken from Romberg Elektrotechnik GmbH discussed the topic with us in an interview. Perfect paint and precise gaps – in the automotive industry it is often small details that determine product quality in the end. To always make sure of this, perfect light is needed especially in final assembly and chassis production. Light that is outstandingly uniform and without glare. Only in this way is it ensured that no LED light points are reflected on the bodywork, causing irritation during the quality control process. Perfect light however must also ensure highly homogeneous vertical illuminance because assembly and control work takes place flexibly on the object at various heights. In cooperation with a renowned vehicle manufacturer, TRILUX developed custom-designed E-Line concepts specifically for this application area. The optics selected by the client now provide no-compromise performance in terms of lighting technology, efficiency, economy and design. 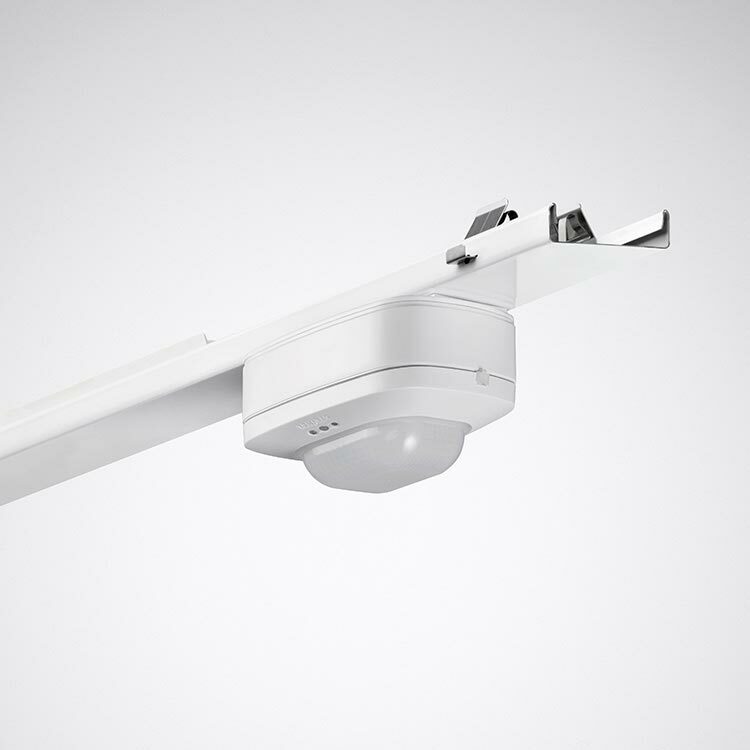 Workers especially benefit from this because the perfect light supports them ideally in their tasks. Because these optics also provide top performance in other applications, TRILUX has adopted these new developments in its standard portfolio. With supermarkets and discounters, it is being increasingly recognised that upgrading to LED provides enormous potential. Refurbished supermarkets with standard optics however exposed an unexpected problem – the efficient LED continuous lines emitting light downwards ensured optimum illumination of the shelving and aisles, but ceilings remained more or less in the dark because of the missing scattered light. This sometimes caused confusion: operators reported for example that customers passing by inadvertently thought that the store was closed because they looked into the dark space. TRILUX solved this challenge together with a highly renowned discounter chain. 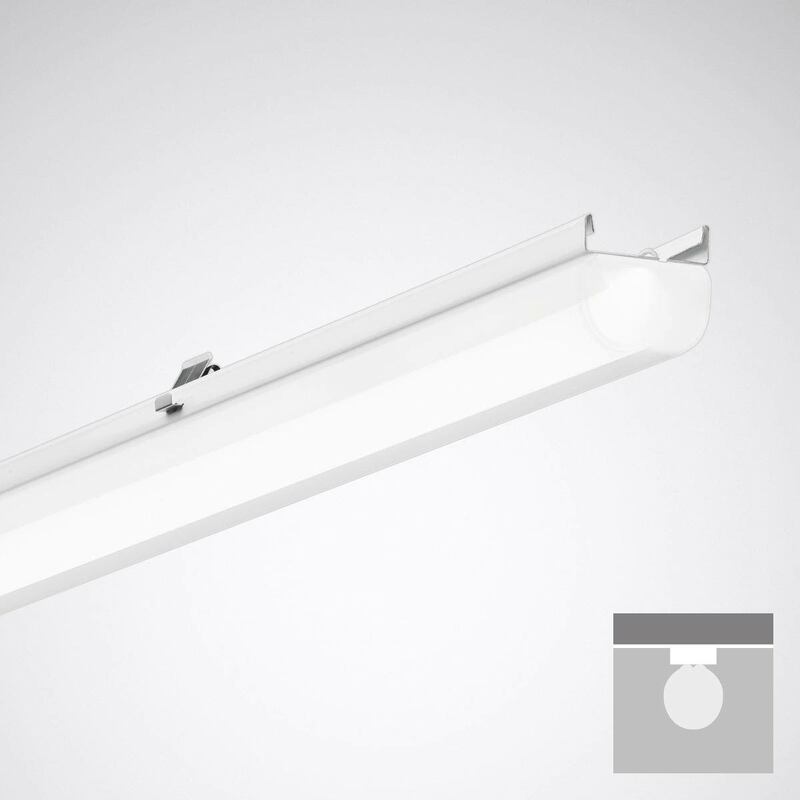 An opal optic especially developed for this application ensures decorative ceiling illumination via a slight indirect component, as familiar from the more or less omnidirectional light of previously used fluorescent lamps. However, this is much more efficient than fluorescent sources. The E-Line optic specifically designed by TRILUX fulfils the complete range of expectations of discounters and supermarkets with regard to sales-promoting lighting characteristic, economical operation and technical performance. In the meantime, TRILUX has added this solution to its standard portfolio because it also achieves optimum results in other applications. The complete E-Line selection combined with additional IP54 components – this creates an extremely flexible, robust LED solution ideally suited for use in cold stores in the food industry. In whatever application, whether in production or distribution, this continuous line version stands up to cold temperatures and humidity. 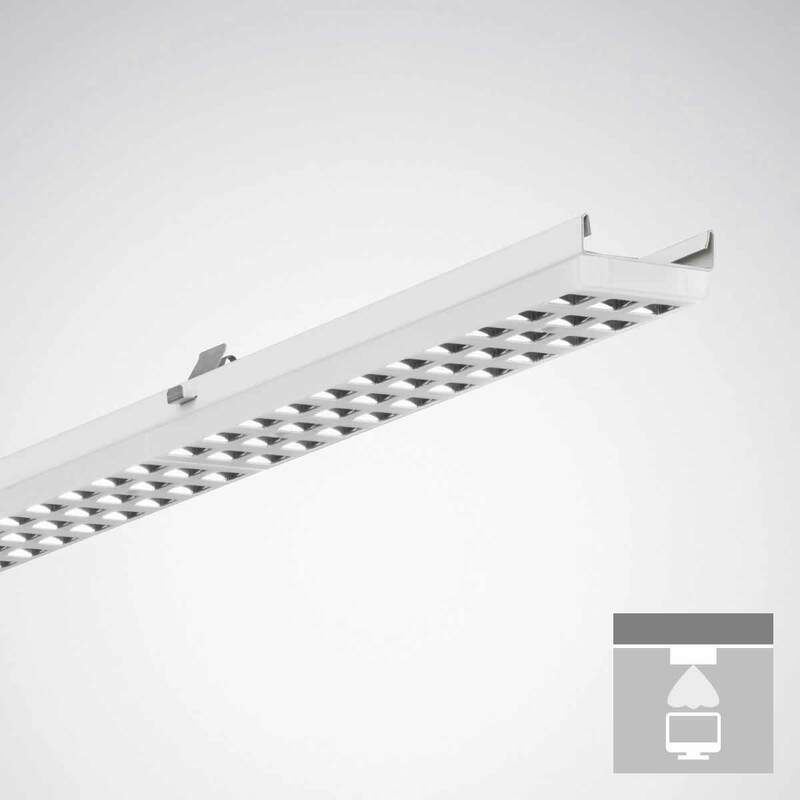 The IP54 version of E-Line LED now also complies with stringent hygiene standards. Everything started with a request from a major, internationally active customer in the food distribution industry needing precisely such a solution for its cold stores. To meet these demands, TRILUX developed an appropriate accessory based on the conventional E-Line LED system that ensure high system resistance and the protection of foodstuffs. The attraction of this solution: with this IP54 accessory consisting of trunking, cover and seals the E-Line optics can be upgraded in IP20 without limiting selection for the customer, and he can continue to select from optics with various beam angles, lumen packages, light colours etc. This E-Line benefits from an "upgrade" to a higher protection rating though. In this way they withstand not only low temperatures and humidity but also comply with the strict HACCP specifications. 1. E-Line celebrates its 25th birthday this year. You've significantly characterised the development of the series over all these years. How was the product creation process and how has the continuous line changed in the past 25 years in terms of lighting technology and product design? "Well, I can probably be thankful for my job with the company's decision in 1992 to launch a new, up-to-date continuous line in the market. The reason for this was that the team under the group leader Mr. Becker at that time was extended with me for the requisite development capacities. During that year we brought the X-Line into production – one of the first continuous lines that could be installed without tools to efficiently and optimally illuminate industrial production and assembly halls as well as schools and shops. On the basis of T8 lamps and mainly inductive ballasts we developed a multifunctional trunking system as well as various reflectors and louvres for light control. In 1999 we developed the cost-optimised E-Line from the X-Line. The continuous line was continuously developed, and scored points at that time with higher energy efficiency, an improved wiring system and quick installation times. The design hasn't changed much at all. Only the switch from special design sockets to commercially available standard sockets was a distinctive feature. 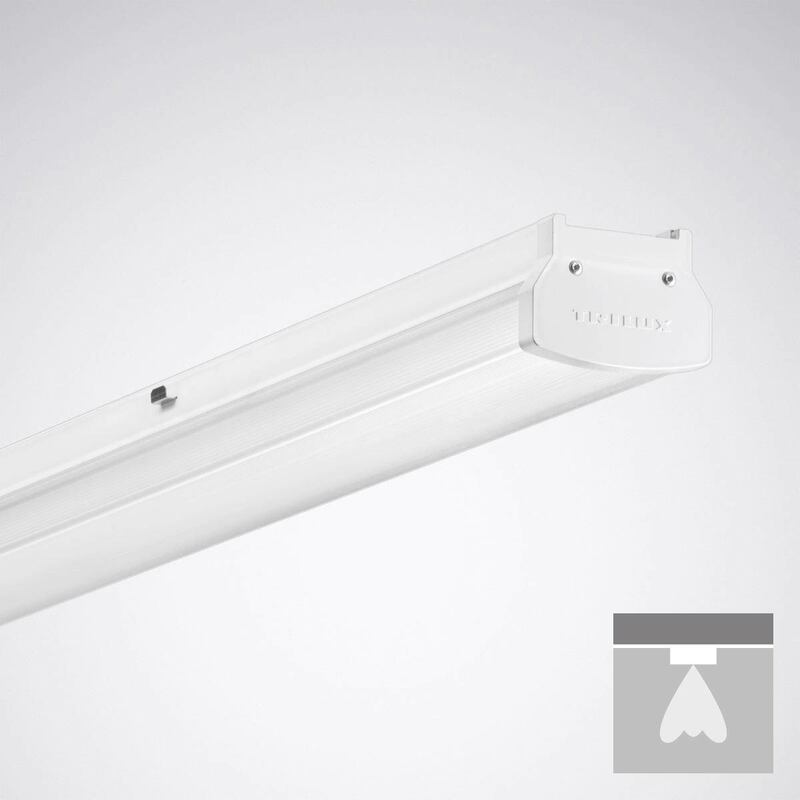 When T5 lamps became available on the market, smaller louvres and reflectors could be designed and this further upgraded the appearance of our continuous line. The T5 lamps were then only operated with electronic control gear units. A particular challenge in 2013 was the implementation of LED technology. In that regard we were able to set new standards as the pioneer in the market. This also heralded the end of the age of louvres and reflectors. The focus is now on special light-guiding plastic optics. Installation times have also been reduced even more, because now only luminaire inserts have to be attached to the trunking profiles." 2. In your opinion what makes E-Line LED the optimum lighting solution? "E-Line LED is an extremely energy-efficient lighting solution for a wide variety of applications. 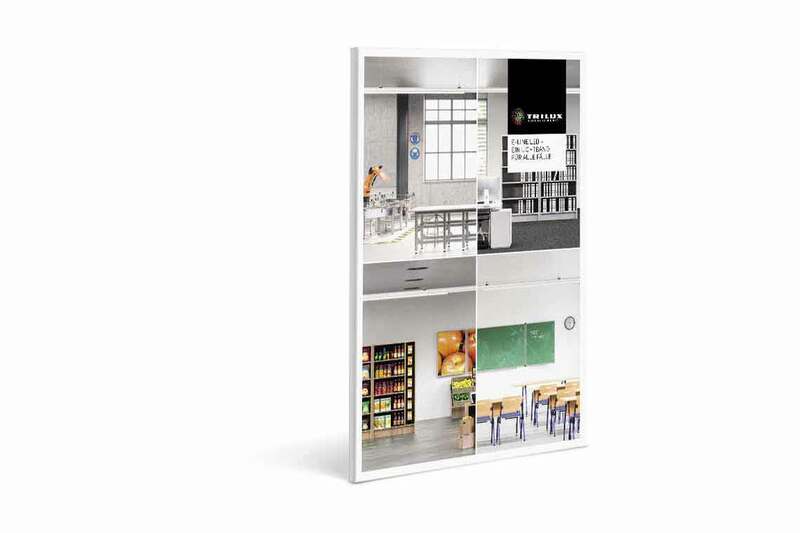 It serves the complete spectrum, ranging from rough industrial uses and the standard-compliant lighting of offices and training facilities to prestigious lighting in the retail sector. 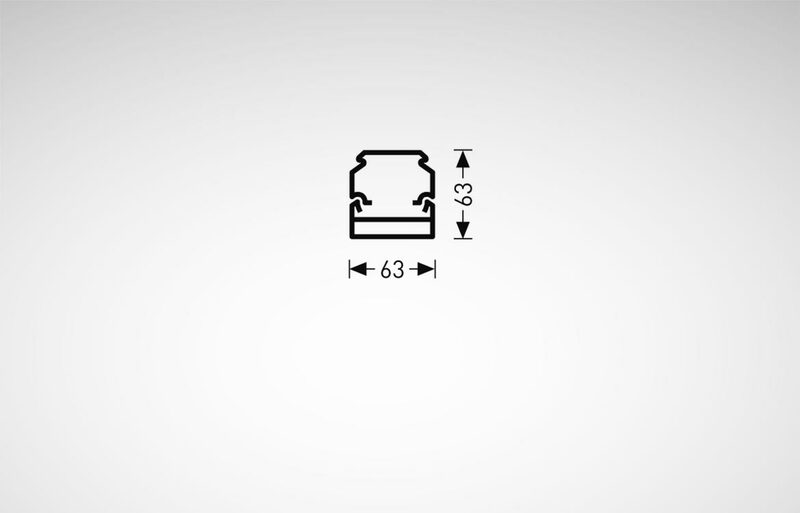 The continuous line can be installed as quick as a flash and provides optimum flexibility – also in terms of retrospective changes in room use. The simple, quick refurbishing of conventional E-Line T5 and T8 systems to high-efficiency LED technology in just 44 seconds is a further major plus point. Even 1st generation continuous lines can be simply replaced by the E-Line LED." 3. Take a glimpse into the future: what can we expect from E-Line in the next 25 years? Which trends and developments in your opinion will we be facing in the future? "The future is digital and networked – this also applies to the theme of light. Light is becoming an important component in the Internet of Things and is laying the way for completely new business models and intelligent services. With our LiveLink light management system, we already offer simple and reliable access to innovative control and monitoring options with lighting solutions. Customers can for example use a cloud solution for the recording of consumption data and for monitoring maintenance that predicts the service life of individual luminaires and triggers an alarm where required. We're working at full steam on innovative technologies and new solutions. 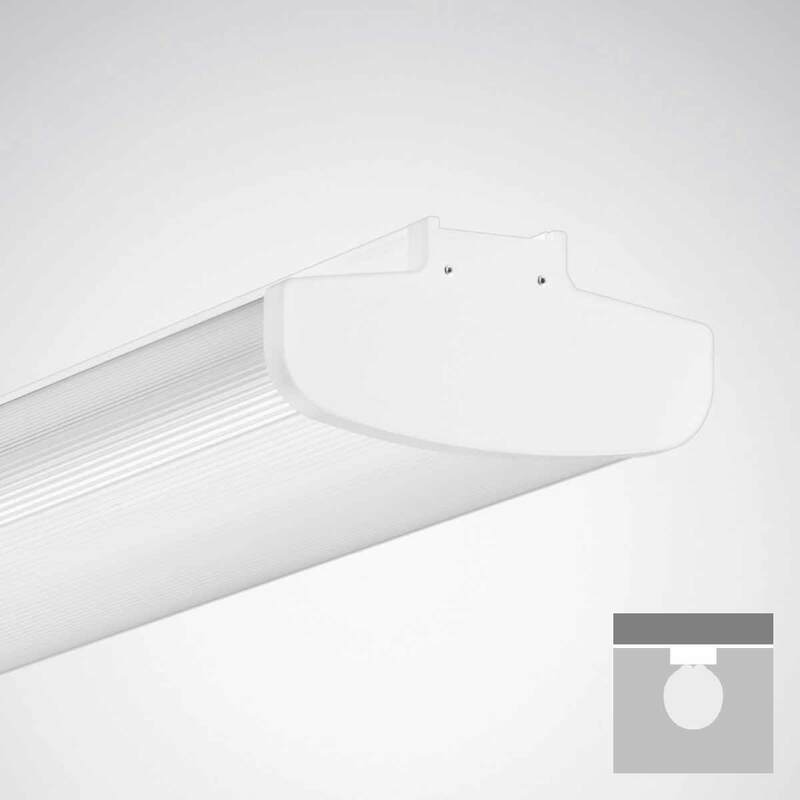 Our luminaires such as E-Line LED together with high quality sensor technology will offer increasing features and functions that will enormously benefit customers." 1. Mr. Keur, if you were to describe E-Line in a 140-character tweet – what would this be? "It's not so easy to summarise such a great product in a few characters, but in my view the following key terms shouldn't be missing: Large portfolio, high flexibility, individual customer solutions, diverse application possibilities, high efficiency, simple designing and mounting." 2. 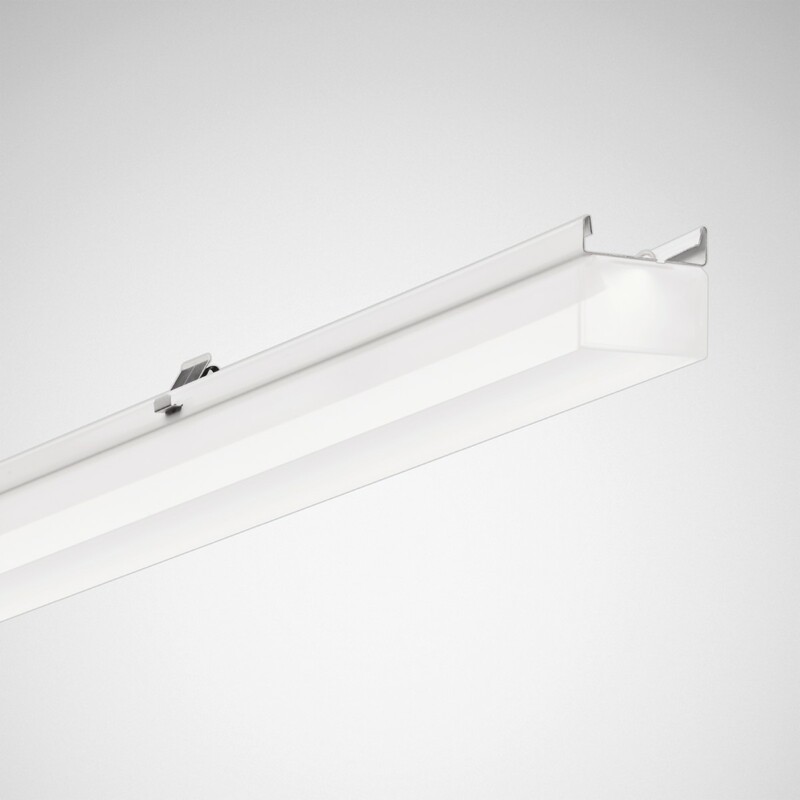 E-Line is seen as a benchmark in the lighting market. 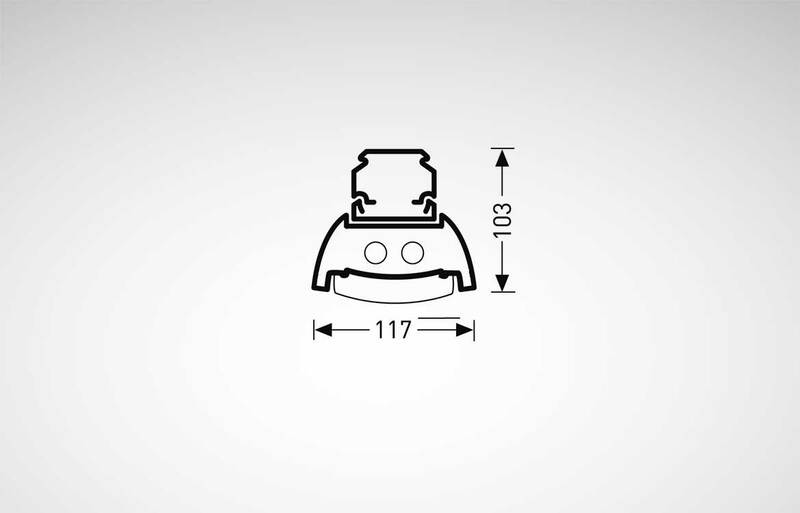 Is it appropriate to compare the continuous line to icons such as the VW Beetle or the Apple iPod? "I think E-Line can be compared to the VW Golf – an absolute bestseller that has been continually developed over all the years and that has also set standards. Both featured maximum reliability and cost-efficiency from the very beginning, and have been success stories with each new generation and the jumps in innovation. At the moment digitalisation is our major topic. VW has just launched the seventh generation of the Golf in which the driver receives all information from the cockpit via a fully digitalised hybrid instrument and many interactive functions. In the lighting branch as well it's no longer just about products, but complex solutions and services offering genuine added value. 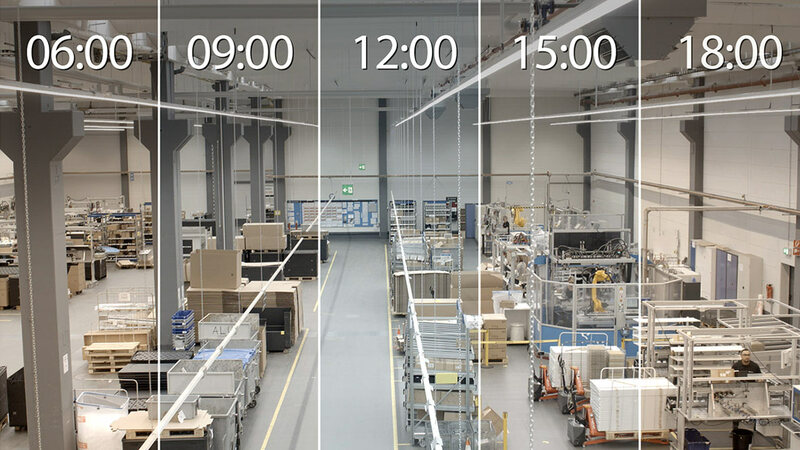 An example – we're currently implementing a large project together with the distribution hall operator Dokvast using E-Line LED and our LiveLink light management system. This system is embedded into the higher-level building control, enabling all essential components of the building technology to be controlled centrally. Here as well we also enable remote monitoring and predictive maintenance of the lighting installation." 3. As a lighting specialist, TRILUX repeatedly develops individual lighting solutions based on specific client demands. As a result, with E-Line there were also custom-designed special solutions that were then adopted into the standard product portfolio. Which projects do you remember the most and how quickly can such an individual solution be implemented? "In the past few years, quite a lot of custom-designed special productions were carried out. We developed two modified E-Line solutions within three months for example for a renowned customer from the automotive industry that were ideally adapted to the needs of their final assembly. In such applications, extremely uniform, glare-free light is needed because visible LED light points for example can be reflected on the bodywork. Also, very uniform vertical illuminance is important because assembly and control work takes place flexibly at different heights on the object. 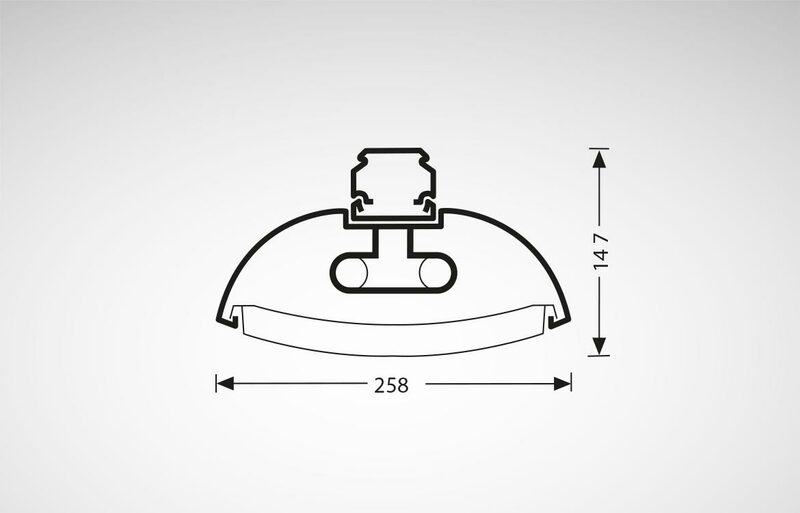 Luminaire requirements are specified in close cooperation with the customer and various luminaire concepts drawn up – this is then followed by development of the best solution in terms of lighting technology, efficiency, design and economy. Another example is a large chain of supermarkets that was looking for a lighting solution with continuous light without dark spots and a 14% indirect light component for their sales spaces. It was here that we developed an OT diffuser in a very short time." 1. For how many years have you now been working with E-Line, and what convinced you then and now? 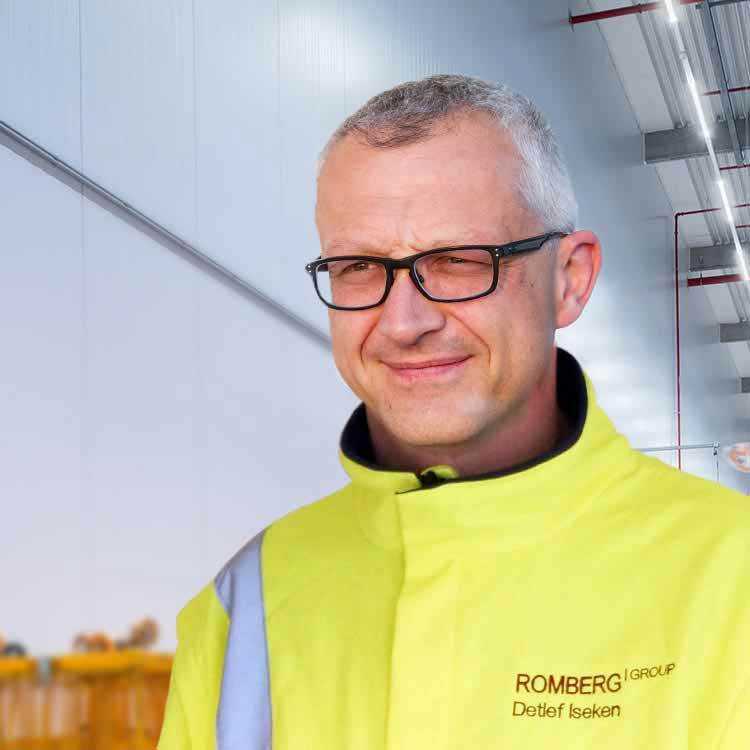 "The ROMBERG Group has been working with TRILUX for around 23 years now and was a fan of E-Line right from the start. In particular it was the high product quality and quality of light, the timeless design, quality workmanship and simple handling that won us over. A further plus is the very reliable working together with TRILUX as well as rapid order processing and delivery." 2. Which development steps in the series brought you significant benefits? "There was a complete progression of innovation jumps that was highly advantageous for our work and for our customers – e.g. the continuous improvement in energy efficiency from 65 lm/W with the T8 E-Line to 90 lm/W with the T5 version. Launching E-Line LED in 2013 meant that energy efficiency advanced to 117 lm/W, and we now even have a variant with 169 lm/W. Furthermore, we can also take advantage of a very wide product portfolio: at the beginning four optics and three luminous flux levels were available, but now the continuous line has 12 optic variants and lumen packages from 4,000 to 20,000 lm. The 12-pole through-wiring also offers much more flexibility, enabling for example emergency light circuits to be wired." "In the past 23 years we've installed a total of around 200 to 250 km of E-Line, and of that around 40 km with 18,000 gear trays in the last two years. Examples here are equipping distribution halls for companies such as Edeka, Porsche, REWE and others." Customers can completely rely on the quality and safety of E-Line LED. The continuous line system is certified with the independent product safety- and performance symbol ENEC and ENEC+, therefore guaranteeing conformity to European safety standards and accuracy of the specified technical data. Electrical contractors who register their projects online are given a guarantee extension to 5 years by TRILUX on all products delivered for the project – completely without added costs. With E-Line LED, operators choose maximum product quality and 50 years of expertise in the development of mature continuous line solutions. Customers can rely on this quality promise: independent ENEC and ENEC+ product safety and performance certificates guarantee the reliability of the lighting technology. For 25 years now, the E-Line series has been one of the most successful continuous line systems in Germany and throughout Europe. 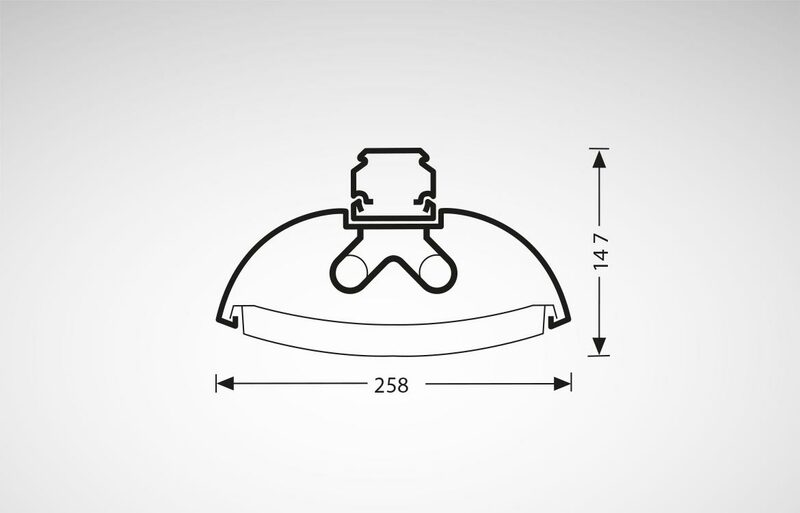 Get to know this innovative continuous line system from its best side. 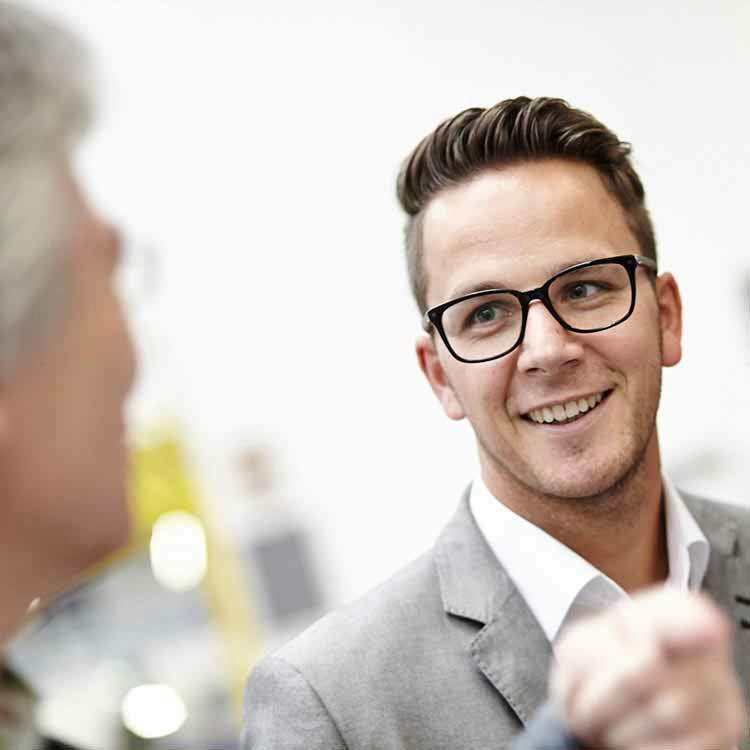 TRILUX is at customers' side right from the start with comprehensive, practice-oriented service offers such as personal consulting or customer light planning. Do you have any questions regarding the products or do you need support? Then, please contact us! High efficiency, straight-forward installation, and short payback period: With the TRILUX E-Line LED, TRILUX developed an optimal lighting solution for both the industry as well as the shop & retail segment.